Probably 1847. Single, broad depressed-arched bridge over Kinghorn to Burntisland railway. Polished and rock-faced ashlar. Voussoired arch with narrow, rock-faced bands to spandrels; outer pilaster strips giving way to raised band course below flat-coped parapet. 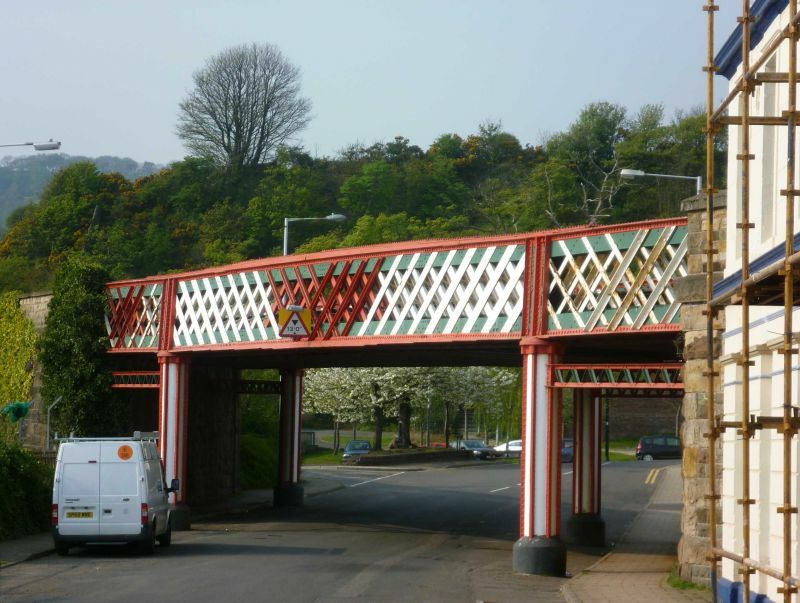 The Edinburgh & Northern Railway opened their Cupar to Burntisland line on 17th September 1847. Bridge No 72 is situated immediately west of Kinghorn Railway Station and is very much part of the original station layout with both cast-iron footbridge and waiting room to the southern platform listed separately. Listed for group value.